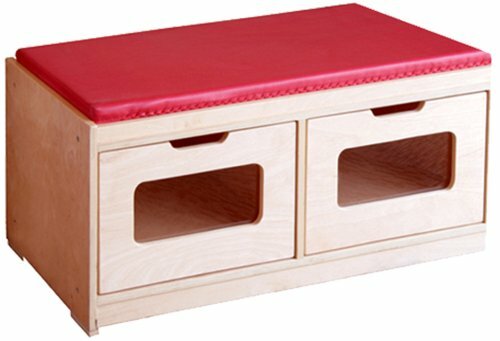 The a+ child supply 2 drawer bench unit can keep any nursery, bedroom, or classroom organized. It features 2 spacious drawers with a convenient cut-out handle allows for easy access for items stored in each compartment. The bench top offers additional space for blankets, dolls as well as seating for 2. It is made from sturdy solid Birchwood with a shiny lacquer finish. It is built to last for the most intensive playrooms. If you have any questions about this product by A+Childsupply, contact us by completing and submitting the form below. If you are looking for a specif part number, please include it with your message.